Augustus Mandrell is an assassin for hire. He is most definitely not a secret agent of any sort nor does he work for any government agency. He is a killer and he works alone, despite many claims to being but part of Mandrell, Limited. If it seems like there are others in the organization besides him, people of all races and nationalities, it is only because Mandrell is a master of disguise and actually enjoys becoming a totally different persona especially if it solidifies the idea that there are others. Others is a good thing to have, or at least make others believe you have, because others will avenge you if a client gets ideas about paying the fee with lead. Mandrell is aware that the worry about reprisal is usually enough. Mandrell is a man of mystery to those who hire him and to those of us who read about him. He is British for certain (as certain as anyone could be about Mandrell). He is likely in his early 30s based on his level of training in the finer arts of permanent dispatch and his thoughts and musings he is willing to share definitely shows a significant level of wisdom. Where, though, he learned what he knows about guns and knives and poisons and bombs and disguise and languages and a host of other talents, we are left to wonder. These talents, of course, he definitely has as his exploits clearly show. They come in handy on many occasions as does his remarkable ability to change to Plan B or even Plan C when situations outside his control dictate. Mandrell certainly points out in his own way that heading into a task planning on improvisation is foolhardy but not being able to improvise when required is deadly and Mandrell can flex his plans with the best of them. In fact he is often so good at it that afterward you sometimes wonder if he did not plan things that way in the first place. The activities of Mandrell "officially" begin with the first recorded commission, the Dr. Sherrock Commission, but he states in that epistle that while this was his first "major" undertaking as Mandrell, Limited, it was not his first elimination and he lets the reader know a couple that came before while hinting there were a couple more. But nowhere in the reminiscing is there any definitive information as to how he got his training and why he chose to go into his current line of work. This absence is both frustrating and fascinating. It is also typical Mandrell who always lets those about him know only what he thinks they need to know to get his job done. Anything more is a waste and a danger and Mandrell does not care for either. One other thing Mandrell does not care for, and this is vital for those thinking to hire him, is not coming up with the final payment once a job is successfully finished. And there are more than a couple of foolish souls who think that since the elimination is done and Mandrell really has no one to complain to, that last expenditure is not really needed. That thought is foolish. And terminal. 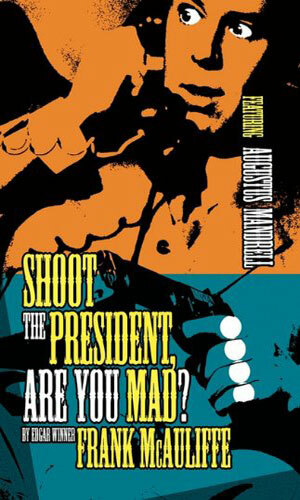 4 Shoot The President, Are You Mad? In 1965 the reading world was offered a glimpse into the activities of Augustus Mandrell in the form of a volume containing four adventures, dubbed "commissions" by Mandrell. A few years later, four more were tended and a couple years after that, four more. In the books which contain these treasures, the order is interesting to say the least and reading them in that order might make you scratch your head because they sometimes mention events you have read but other times know you will read later. And, of course, there are commissions that are talked about but never fully related. I do not recommend any particular reading order but for the sake of clarity, the 12 novellas are listed below with the year in which they occurred. First adventure in the Of All The Bloody Cheek collection. It is 1939. Dr. Sherrock is a man already known to Augustus Mandrell as he had made use of Mandrell's services before. Now someone wants Mandrell to service the doctor. Second adventure in the Of All The Bloody Cheek collection. It is 1942. An Iranian holy man is causing trouble for the landowners of northern Iran and Augustus Mandrell is hired to tend to the trouble. Third adventure in the Of All The Bloody Cheek collection. It is 1944. The task is to eliminate a Vichy French general who is being held as a POW by the Americans in war-torn France. Augustus Mandrell becomes the leader of an entertainment troupe to pull it off. 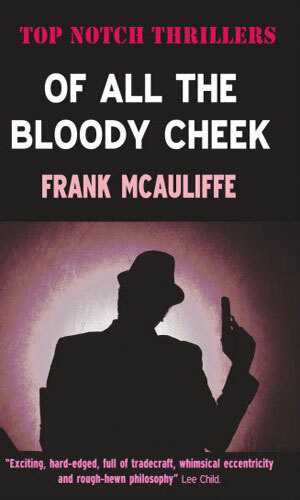 Fourth and final adventure in the Of All The Bloody Cheek collection. It is 1945. Word has come to Mandrell that a Superintendent with Scotland Yard is planning on making the exploits of Mandrell, Limited his prime focus. Since someone else wants the policeman gone and will pay for it, Mandrell gets busy. First adventure in the Rather A Vicious Gentleman collection. It is 1947. The target of the commission is a war criminal held inside an intensely secure military prison with major booby-traps for anyone breaking in or breaking out. Second adventure in the Rather A Vicious Gentleman collection. It is 1946. Getting invited to an extremely exclusive country manor gathering can be murder, especially when your purpose for going is literally murder, as Augustus Mandrell finds out. Third adventure in the Rather A Vicious Gentleman collection. It is 1943. When a man wants his mistress killed and the woman's husband wants the interloper killed and the wife wants the husband killed, work can be a challenge for anyone but Augustus Mandrell is up to the challenge. 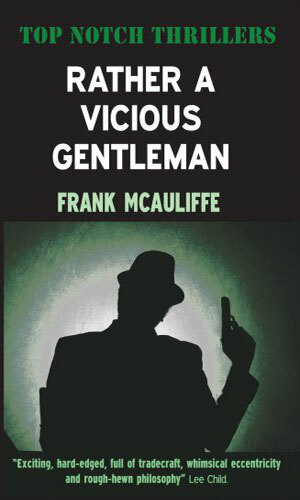 Fourth and final adventure in the Rather A Vicious Gentleman collection. It is 1941. In what seems a very poorly negotiated commission, Augustus Mandrell lures his victim to a deserted island with the tale of an Irish Monster living there. First adventure in the For Murder I Charge More collection. It is 1945. Second adventure in the For Murder I Charge More collection. It is 1945. Third adventure in the For Murder I Charge More collection. It is 1948. Fourth and final adventure in the For Murder I Charge More collection. It is 1950. The exploits of Augustus Mandrell are mentioned in this compendium for two reasons. The first is that he is an awesome read and I want everyone who happens to peruse my musings to know about him and them. The second is because on more than one occasion, the people hiring Mandrell, Limited either are in the government, connected to the government, or hiding from the government and that seemed close enough to me. I first came across these stories back in 1972 while stationed overseas. I picked up the first book at an English bookstore and took it back to my room. I devoured it over the next several days. It took me more than just a day or two because I learned from the very beginning that I did not want to miss a single sentence. Speed reading was out. Savoring was in. When next I had time off, I was back at the bookstore and buying the next two books. Those, too, I consumed like an epicure at a 5-star restaurant. Such delicacies were much appreciated. Imagine, though, my sorrow when they were finished and there was nothing more. Imagine, too, how poorly whatever book followed these was received. As I started this compendium 30 years later, I considered a time or two about adding Mandrell. Each time I decided against it because in my admittedly failing memory, the stories were not spy-fi related. Then my friend, Mike Ripley, senior editor of Top Notch Thrillers asked me in an email if I had ever heard of Mandrell and I answered with an enthusiastic "yes!" That got me thinking again about adding him. Then in the mail came three books in the beautiful new edition they put out. I immediately started re-reading and re-enjoying the terrific work that eventually earned the author the premiere Edgar Award. Mike also told me of something I think I read somewhere but forgot - there was a fourth unprinted book written some time after the third collection of stories, this one being a full length novel. He said that it had finally seen print a couple of years ago. I looked for it and got it and when I saw that it was about a commission with the President being the target, well I knew that I had to put this series in the compendium. Besides, it is just too good not to. These books are fantastic on so many levels. I think it would be what you'd get if Evelyn Waugh had been asked to write a Nerves novel while PG was out sick. I personally love this type of satirical black comedy. It is usually an British art form, and I was surprised to find out that Mr. McAuliffe was an American. He did an amazing job. Great writing, characters, stories. Well worth your time to read this sadly forgotten work. Highly recommended. Priceless! His role camouflage would put the IMF to shame. Great stuff.